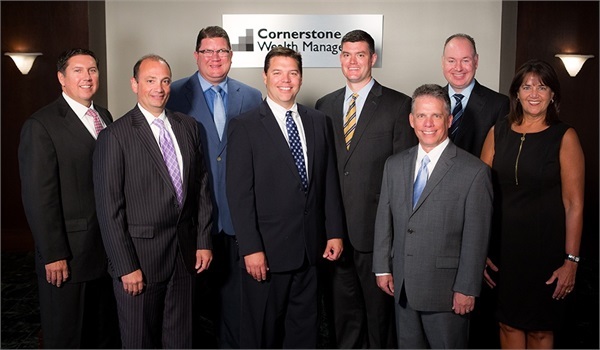 Cornerstone Wealth Management LLC is a comprehensive investment advisory firm dedicated to making a positive financial difference for families and individuals. Though the firm is headquartered in St. Louis, MO, additional offices are located in AZ, AR, CA, CO, GA, IL, MN, OK, PA, TN, TX, VA, WA and WI. At Cornerstone, the advisor’s ultimate responsibility is serving their clients. By developing an understanding of what their client needs and wants, advisors are able to support the client’s interests and strive to preserve the client’s assets. By partnering with Cornerstone Wealth Management, advisors and clients can be confident knowing that their best interests will be looked out for not only today, but far into the future as well. Integrity: As passionate advocates for our clients, we believe that providing independent, objective guidance is the best way to serve their best interests. Trust: We build meaningful relationships based on trust to better support the needs, goals and ideal futures of the families we serve. Clarity: We strive to bring confidence and understanding to our clients’ financial lives through our straightforward approach and clear guidance. Independence: As independent advisors, we have the freedom to choose the solutions and strategies that can help our clients pursue financial independence.